Fill in the missing piece in your life with these delicate silver jigsaw-piece earrings—the perfect way to enhance natural understated beauty. Did you know? 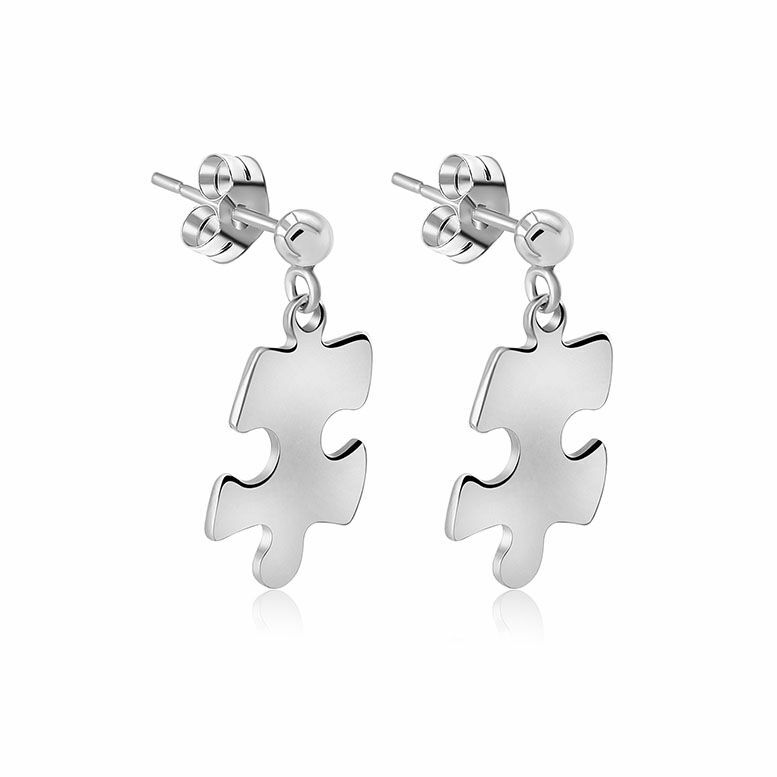 The jigsaw piece is a symbol for lots of things, particularly autism -- and we love it. For us, it's a wonderful way to embrace everyone's little differences, while acknowledging that we're all part of the same big picture. That makes it a fantastic gift for someone you love who's part of your bigger picture, or a way to showcase a fundamental part of your identity. Ultimately, it's a hugely versatile symbol because it's you who gives it meaning.